Previous writings have explored the lives of a number of deceased and living members of the Islamic State affiliate Jaysh Khalid bin al-Waleed that is located in the Yarmouk Basin. So far, those profiles have not documented individuals with origins from the east Deraa countryside (i.e. the area of rebel-held territory in Deraa province east of the strip of government-controlled territory running down the centre of the province). This post looks into two individuals of Jaysh Khalid bin al-Waleed from an east Deraa countryside town called al-Karak al-Sharqi: Abu Hussein al-Karaki and Abu Yahya al-Karaki. As far as is known, they are the only two people from the town who joined the group. Of these families, the al-Asafira have affiliations with the al-Nu'aim tribe, while the al-Sakris have affiliations with the al-Rabaya'a tribe. - Liwa al-Shaheed Emad Nasrallah, affiliated specifically with Jaysh Ahrar al-Asha'ir, which maintains particularly close relations with Jordan. - Liwa A'isha Umm al-Mu'mineen, which declared in July 2017 that it joined Jaysh al-Islam's southern sector. - First Regiment- Artillery, affiliated with the coalition of the Southern Front. There is also a more minor presence for the faction Jund al-Malahem. Abu Hussein al-Karaki's real name is Ali Mousa Turki [al-]Nasrallah. He was born in 1986. His deceased father worked in chicken plucking. One of Abu Hussein's cousins is a commander in Liwa al-Shaheed Emad Nasrallah, though Abu Hussein al-Karaki never joined a rebel group before Jaysh Khalid bin al-Waleed. Abu Hussein studied up to the secondary level of education only and originally worked as a painter. He migrated to Lebanon before the onset of the civil war, working as a household furniture painter and settling either in the Beqaa area or al-Nabatiya in the south. He then returned to al-Karak al-Sharqi around 6 months ago, before leaving his hometown to join Jaysh Khalid bin al-Waleed in the Yarmouk Basin around 3 months ago. A friend in al-Karak al-Sharqi who knew Abu Hussein personally recalls that by the time Abu Hussein returned to al-Karak al-Sharqi, he had become a Salafi and had memorized the Qur'an (at least significant portions of it) and many hadiths. While they were doing some painting work in al-Karak al-Sharqi's northern mosque, Abu Hussein began telling my friend about his support for the Islamic State, saying that the Islamic State is on the path of truth. My friend replied by telling him to be careful, warning him that Free Syrian Army groups arrest those affiliated with the Islamic State. 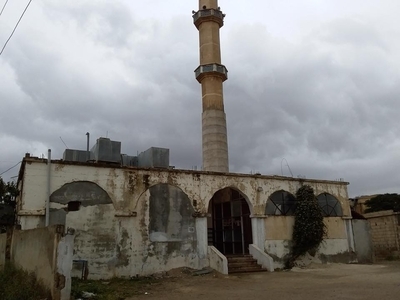 The northern mosque in al-Karak al-Sharqi. In the end, Abu Hussein decided to go to the Yarmouk Basin, leaving his wife and children behind. His wife did not wish to go to the Yarmouk Basin, partly fearing the continual bombing of the area in clashes between Jaysh Khalid bin al-Waleed and its rebel rivals. In addition, there are occasional airstrikes and missile strikes launched on the Yarmouk Basin by the coalition and/or Israel. Abu Hussein's current role in Jaysh Khalid bin al-Waleed is unknown. Abu Yahya al-Karaki's real name is Muhammad Ahmad Hussein al-Shanur, who also went by the kunya of Abu Bakr. Some of his relatives are involved in the First Regiment- Artillery. He was born in 1985 to a father working in agriculture and he has 4 siblings. He studied at the Shari'a college in Damascus University and originally taught Islamic studies at school, but with the onset of the civil war, he became an imam at the northern mosque in al-Karak al-Sharqi, giving lessons in Shari'a and recital of the Qur'an on a daily basis. Once highly regarded as one of the mashayakh of al-Karak al-Sharqi, he became widely disliked as he began to express support for the Islamic State, allegedly declaring takfir against the rebel factions. It is also said that when news came of the planned establishment of some kind of civilian police force in al-Karak al-Sharqi, he went on his pulpit and declared that anyone who joined it would be an apostate. An obvious question here is why Abu Yahya was not arrested for expressing support for the Islamic State. Surely he would have been suspected of being an Islamic State operative? Apparently, there were multiple attempts by the local factions to arrest him, but ultimately they could not arrest him because that would have led to difficult 'clan problems' (Arabic: مشاكل عشائرية or the concept of حمولة) with complaints from the extended al-Shanur family. Abu Yahya is said to have left for the Yarmouk Basin some months before Abu Hussein went. His wife initially went with him but only stayed for a short time (c. 15 days) before returning to al-Karak al-Sharqi, not content to remain in the Yarmouk Basin. His immediate family, including his father, is angry with him for joining Jaysh Khalid bin al-Waleed. However, the organization appears to have appreciated his religious learning and appointed him as head of the Hisba, according both to my friend from al-Karak al-Sharqi who knew Abu Hussein and a friend from Jamla (in the Yarmouk Basin) who attended a Shari'i course in which Abu Yahya was teaching. 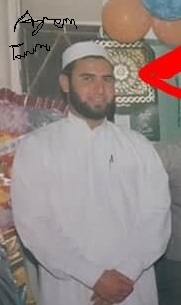 My friend from Jamla described Abu Yahya as a very cultured and respected man. One will note from a post in late March 2018 that I identified one Marwan Zain al-Abidin from Tasil as alleged head of the Hisba. 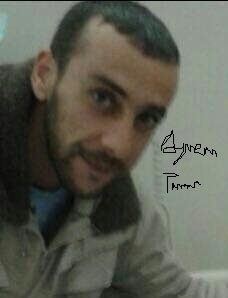 As my friend from Jamla explains, Marwan only remained in the post of head of Hisba for a short period of time and Abu Yahya al-Karaki has occupied the post as of late April 2018. Indeed, changes in leadership and administrative positions frequently occur in Jaysh Khaid bin al-Waleed.